‘The Race to the Sun’ begins in Mantes-la-Jolie, just north-east of Paris and heads south, finishing one week later in Nice. 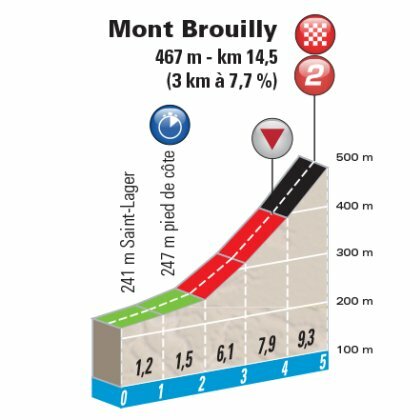 Unlike recent editions of the race, this years race will not end with an ITT up Col d’Èze.The famed climb will feature in the final stage however as riders race out and back from Nice. Click on the links below for details on each stage. No major splits on the climbs again today and an attack on the descent, led by Carlos Betancur, formed a breakaway with Bob Jungels and Jakob Fuglsang with the initiator sprinting to the stage win. Tom Jelte Slagter took the 4th stage of Paris-Nice after escaping with Geraint Thomas and outsprinting him at the finish.